If I were to ask you “what ultimately do you want from life?”, many of you would answer “to be happy”; “to have money”; “to have success”; etc. We seek answers from life, while our culture answers with “get more stuff and gain fame then you will feel happy”. Will this suffice as your answer to your life question? Is that really what you want, or is there something else, something deeper for which you long? During my time as a counselor I have worked with clients from every socio-economic status. Regardless of money or available material resources, everyone was seeking a common answer, namely, how to get a deep feeling of peace. As a result of their life struggles they came to realize that material goods and wealth is fleeting and can be lost. Therefore, they could no longer find satisfaction in material goods. In an instant life can become hectic and chaotic. Just when we think we have life all figured out, and our path forward appears to be straight; adversity happens! All the talk of mindfulness, living in the moment, and meditation seem to fall short in light of the adversity and chaotic realities of life. Platitudes are not my message. My life has had its share of ups and downs so I will not trivialize the impact adversity plays on a person's thoughts and feelings. 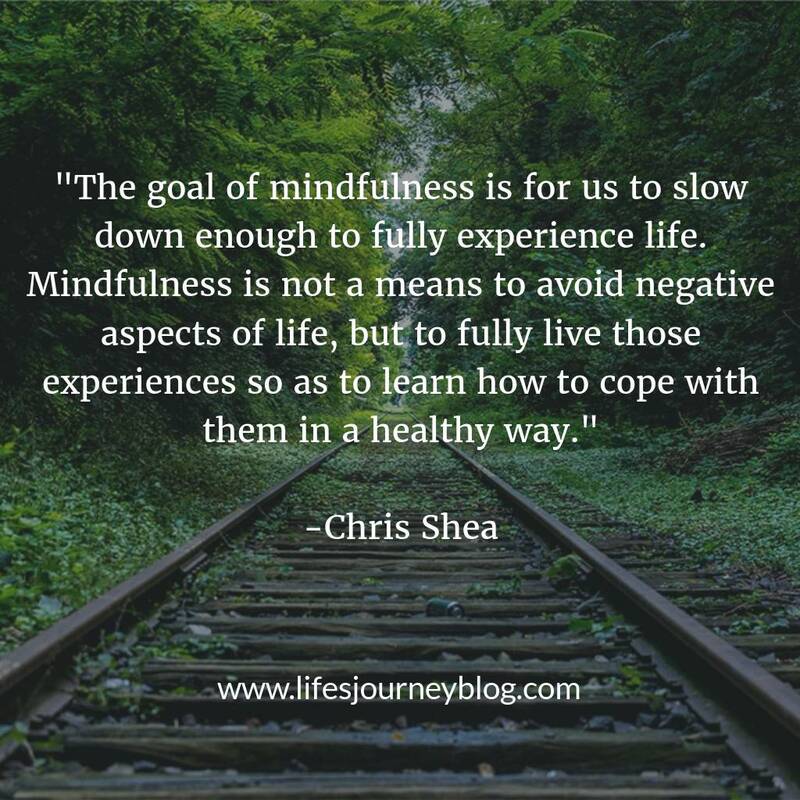 My message relies on my own experience of mindfulness and it's ability to lead us to finding and living with inner peace, regardless of what life may throw at us. A few years ago, while travelling through South Carolina, I was touring an old barn when I noticed, above me in the ceiling, a large bird was frantically trying to escape the barn. The bird continued to fly into the closed window in its frantic desire to escape the barn. Attempt after attempt, nothing changed for the bird. It flew towards the closed window, smashed into the window, and once again flew into the closed window. Presumably unbeknownst to this anxious bird, the barn doors, one on each end of the barn, were wide open! Had the frantic bird simply stopped a moment to observe its surroundings, it would have noticed a very easy escape into the freedom of the outside sky. Yet, the bird was so focused on the task in front of it that it failed to see any alternate options.